Each year, I like to reflect on the very best travel moments of the year. 2015 was a very well-traveled year for me. In November alone, I went on three trips. Throughout the year, I spent 45 nights in hotels and traveled on 27 planes. I visited five foreign countries, three continents, 18 cities, and nine UNESCO World Heritage sites. How incredibly lucky am I?! With only two weeks of vacation, I’ve somehow managed to spend a good chunk of my life living out of a suitcase. I can still have all the comforts of home—a nice apartment and a great job I love—but I have the ability to go out and experience the world. I’m happiest when I’m planning trips, gazing dreamily at maps, taking photos of a beautiful landscapes, and ultimately, setting foot on a plane to a new destination. It’s what I live for; it’s the part of my life that fulfills me the most. Revisiting Florence. It’s the place that opened my eyes to a larger world, and made me fall in love with travel. Florence and I will always have this strange, love/hate relationship, but I’ll never stop being grateful to it. It was beyond incredible to go back five years after I studied abroad there, and retrace my footsteps (sans map!) with a little time, perspective, and travel under my belt. Falling in love with Rome. I never saw that one coming, which made it one of the sweetest surprises of the year. When I visited Rome back in 2010, I was completely unenthused. 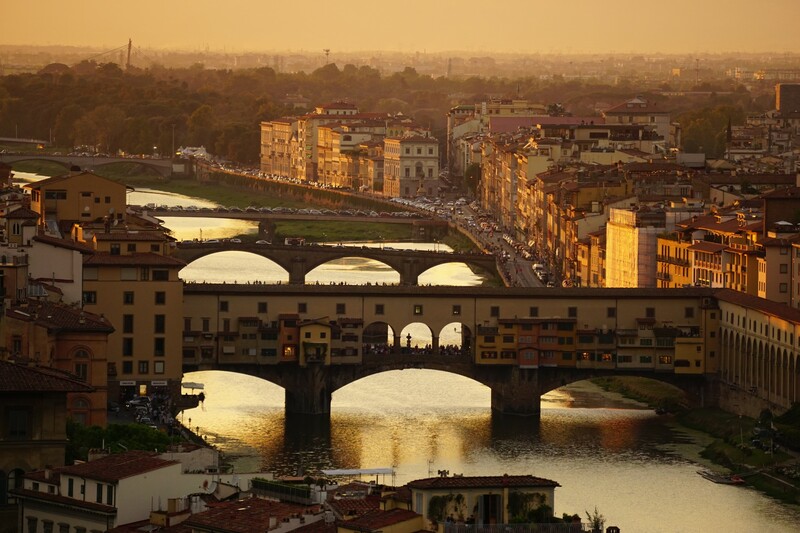 It was loud, dirty, and busy—all the things I hated about Florence, only amplified. I reluctantly agreed to go back to Rome because Kyle wanted to see it, and because our Mediterranean cruise was leaving from a nearby port. Imagine my shock when I found myself eating spaghetti and sipping an Aperol spritz while staring in complete awe at the Pantheon. We spent hours walking around the city that evening, marveling at the glow of the ancient sites at night. That evening, Rome quickly became one of my favorite cities on earth. Crossing Santorini off my bucket list. 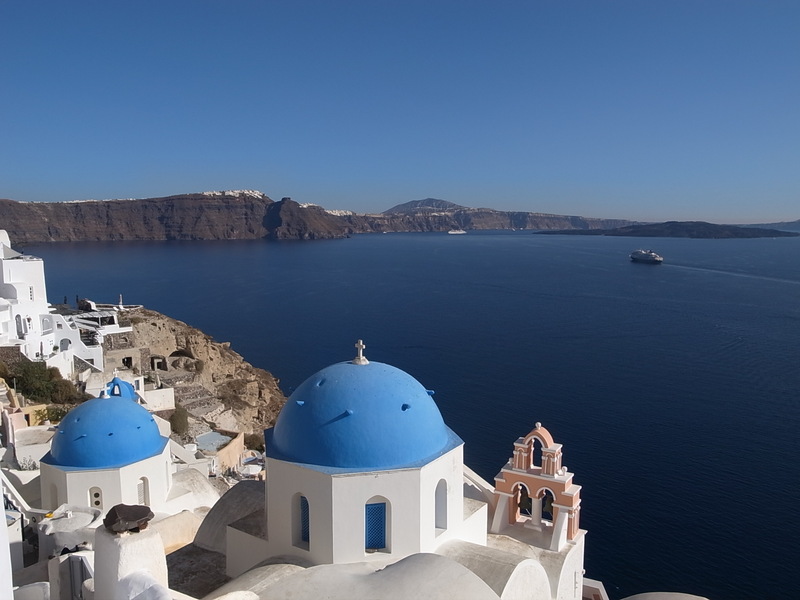 Greece had long held a top spot on my bucket list—and no place more so than Santorini. It’s the subject of every Pinterest travel board: the white-washed, blue-domed buildings of the glittering, volcanic island in the Mediterranean. The jewel in the Greek crown. The afternoon we spent there only left me wanting more. I know there’s a wall somewhere in Oia with my name on it, just waiting for me to come back and sit there to watch one of those famed sunsets. Setting foot on my third continent. I’ll admit I hadn’t done much research about our cruise port Kusadasi in Turkey. 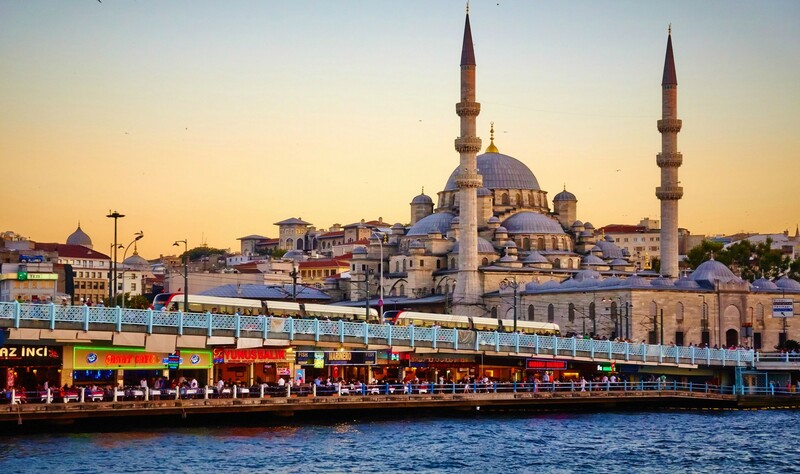 I was too excited about our two-day stay in Istanbul, which ended up being canceled. I felt like a typical uniformed tourist when three hours into our stop in port, someone welcomed us to Asia. How could I not know that 97% of Turkey is in Asia? (Istanbul is part of Europe). Although it still feels a bit like I’m cheating, saying I’ve been to Asia, I couldn’t have been more surprised by the sites I saw there. The ancient city of Ephesus was absolutely incredible, and I highly, highly recommend a visit there. Spending an entire evening staring at the Eiffel Tower. Yes, it’s true—I spent hours of my brief time in Paris simply staring at the emblem of the city. It was the final day of three weeks in Europe. Kyle had gone home, and I’d moved on to France for a quick work trip. I had ten hours to spend in Paris before catching my flight home. 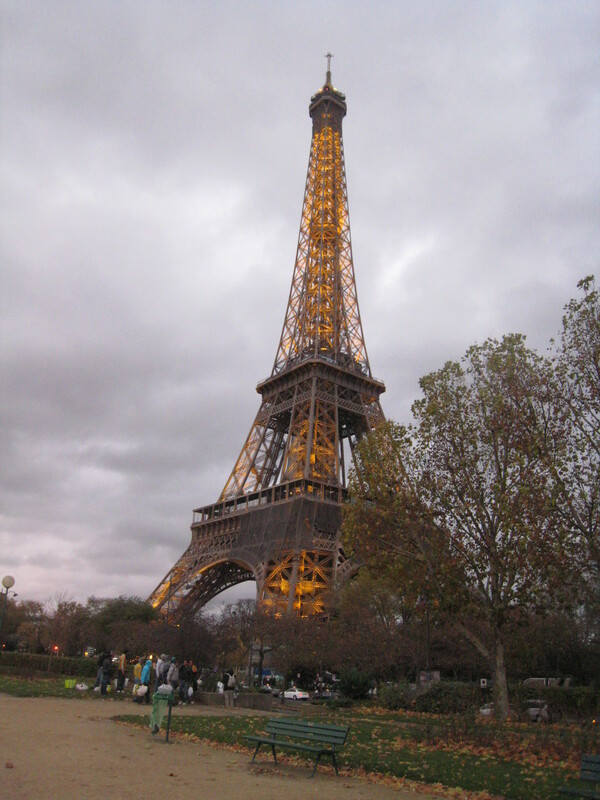 I loved Paris during my first visit five years ago, and was even more enthralled this time. I went on a driving tour of the city, had dinner on the Seine, and visited the Eiffel Tower three separate times. Watching it sparkle in the night sky will never get old. Witnessing the power of nature in Iceland. Untouched. Mighty. Pristine. Those are a few words I kept saying while in Iceland. Whether it was standing in the presence of a geyser, watching water careen over jagged cliffs, or soaking in the Blue Lagoon, the power of Mother Nature constantly surrounded and astounded me. Standing on a beach on Thanksgiving Day. Who would have thought that I’d take my typical beach feet picture at the end of November on a black-sand beach during the middle of a graupel storm, while wearing three layers of thick socks and heavy boots? Certainly not me. Enjoying the first snowfall in Reykjavik. We didn’t know it at the time, but on our last day in Reykjavik, the city experienced its first significant snowfall of the year. Pristine doesn’t even begin to describe the beauty of the fresh snow by the harbor. We took a long walk that morning, marveling at the snow globe we seemed to be in. Feeling small at the Grand Canyon. Catching my first glimpse of the monstrous expanse over the edge of the South Rim, I’d never felt so small in my life. Miles of painted nothingness—all carved by the seemingly meandering river at the bottom. Talk about the raw power of nature slapping you in the face! You realize what an insignificant place you occupy in the world, and yet somehow, you can’t help but feel grateful for the sheer privilege of just being there to take it all in. Standing atop Horseshoe Bend. After a long hike from the parking lot, you’re rewarded with the most wondrous of sights. I’d seen pictures, but nothing could have prepared me for the inedible beauty of Horseshoe Bend, the 270-degree bend in the mighty Colorado River. It’s this kind of mystical place, hidden away in the middle of nature. Photographers and fellow travelers sat quietly in awe as the early evening light painted the walls of the canyon. Watching the light shift in Antelope Canyon. I’ve wanted to go there since I saw the famed National Geographic cover. Two photogenic slot canyons (Upper and Lower) in the middle of Navajo land represent the quintessential American Southwest I longed to see. We visited the Upper canyon—the most popular and easiest to access. Spiral rock formations rise up around you as you make your way through the canyon. At high noon, light beams shoot down to the floor of the canyon, showcasing the fleeting beauty of moments in Antelope Canyon. Being wonderfully captivated by Chicago. I love nothing more than being completely surprised by a destination. I went on a work trip to Chicago in November, and while I was excited to go, I wasn’t expecting much out of the city. I knew about the giant, mirrored “bean” in a park, but that was about it. My first day there, I quickly became entranced with the architecture, attractions, and overall vibe of the Windy City, and I used every spare moment to soak it all in. Visiting the 9/11 Museum and Freedom Tower at Ground Zero. I’d been there before—this hallowed ground that holds such a significant place in all of our histories. It’s always sobering to visit there, watching the water fall into the seemingly bottomless reflecting pools demarking the exact footprints of the towers. This time, I visited the 9/11 Museum, a tasteful snapshot of the events of that day. My favorite part was seeing the massive installation by visual artist, Spencer Finch, called Trying to Remember the Color of the Sky on that September Morning. It’s a massive work, compete with 2,983 individual squares of Fabriano Italian paper hand painted different shades of blue, representing every person killed in the Sept. 11 attacks and in the 1993 World Trade Center Bombing. The museum was incredible, as was the view from the recently opened One World Observatory, where you really can “See Forever,” as their motto goes. Getting my first foray into travel photography. I’ve always loved taking phots of my travels, and have been wanting to gain a deeper understanding of photography for a long time. A week before my solo trip to NYC, I bought my first quasi-professional camera, the Sony a6000, and my new BFF. I’d always admired the HDR travel photography of Trey Ratcliff with Stuck in Customs, so I purchased one of his recommended cameras, and headed off to NYC where I’d join his photo walk across the Brooklyn Bridge. I’d never been to that part of the city before, and after quite the struggle to figure out how to get out of Manhattan, I was rewarded with one of the most spectacular sunsets I’d ever seen. It was a great first introduction to a new part of the city—and my new camera—and since, I’ve really started to dive headfirst into the world of travel photography. And I love it! Here’s to more wonderful adventures in 2016! Five years ago right now, you could have found me living on Via Sant’ Egidio, a couple of blocks away from il Duomo, in what has been consistently named the best city in the world. 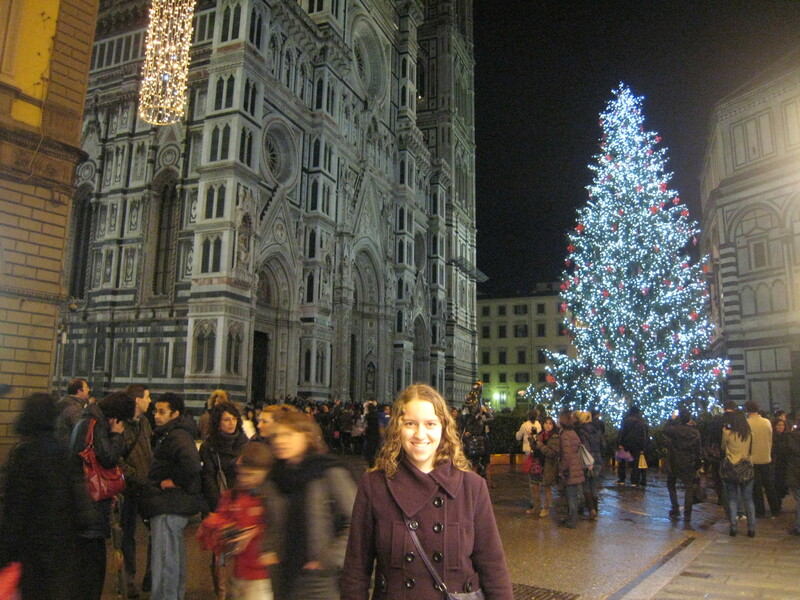 Since that time, I’ve had a passionate love/hate relationship with Florence, Italy. I absolutely despised it 95% of the time I called it home. But it’s the city that changed me. It made me who I am today. And recently, I got to go back. When our train from Rome pulled into Santa Maria Novella, I had this deep sense of déjà vu. I’d been here many times before. I recognized the train station, the street outside. I knew exactly how to get to the Duomo, my school, my old apartment. I’d walked this road dozens of times. In a different life. After checking into our AirBnb a few blocks away from the heart of the city, we set out to explore. I had a map in my purse, but I knew I wouldn’t need it. It had taken me two months of living in this city to finally figure it out, and it’s something that’s forever ingrained in my memory. Within minutes, I’d found the main building of Lorenzo de Medici, the American school I attended my last semester of college. It was the first stop of many on my road to rediscovery. Now – Going back to the last place I ever took a college class. Next, we passed through Piazza della Repubblica, glancing up at the archway I walked through each morning on the way to school. I knew I was almost there. One more turn, and I would see it. The Duomo, in all its detailed glory. It really is a stunningly beautiful sight—the façade seemingly one giant work in cameo. So ornately decorated, almost dripping in sculpted beauty. This is the place I passed by every single day. I had tread these grounds before—only five years prior, but a lifetime ago. How could I not have appreciated this? Within minutes, we’d made our way to my old apartment, a place we’d both been before. Kyle had visited me here briefly during his trip to Italy over our mid-semester break. We’d just gotten engaged in Venice, and we had one final night before he returned to America. We walked hand in hand through this city I felt held me captive. All I wanted was to go home with him. I would have given just about anything for a seat on that plane next to him. But I had to stay. I still had two more months to spend in this city I’d come to loathe. Two more months before college would end, and our life together would officially begin. I couldn’t wait for it to start. But walking through this city again, revisiting all of the places I frequented, made me feel so nostalgic—yet so out of place. The city was still the same, but something inside me had changed. 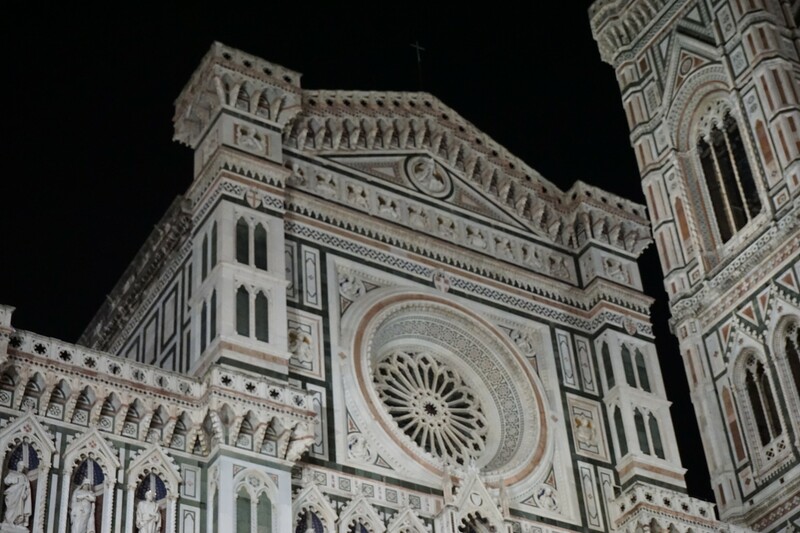 Over the last five years, I’ve completely romanticized my memories of Florence. They say hindsight is 20/20, and never in my life has that been more true of anything than my semester abroad. This is the place that completely changed me, setting in motion everything that was to come. Before my study abroad, I’d never even set foot on a plane. I embarked on this crazy journey reluctantly, at the persuasion of my college roommates who chose to study abroad in Florence. Come with us, they said. It’ll be fun, they said. And so I got on that plane, heart in my throat, and my newly-printed, unstamped passport in hand. It was the beginning of my love affair with travel. It was a surreal feeling, to find myself back in the city where I once felt like a prisoner, but now remember as the place that changed me for the better. I wanted to love it. I wanted to hate it. I wanted to feel it—to soak it in, and never let it go. I was overcome with nostalgia, and the need to recreate new memories with my husband. 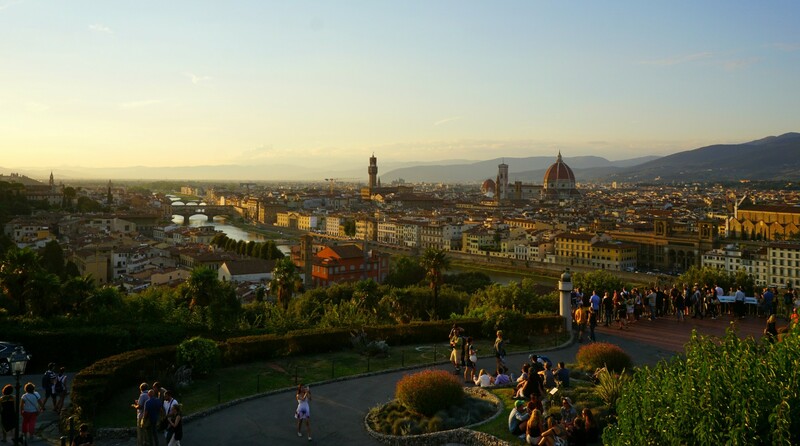 Standing atop Piazzale Michelangelo, the only part of Florence I ever adored, I knew this spot would hold a special place in my heart forever. Somehow, we found ourselves surrounded by hundreds of people who gathered to watch the sunset cast golden hues over the birthplace of the Renaissance. If there’s a reason to love Florence, this is it. There’s something magical about witnessing it all. We stayed for over an hour, and I snapped picture after picture of this city that had somehow twisted my heart more than anyplace on earth. I knew I’d never be able to put into words how standing there again made me feel, but I also knew I’d never ever forget it. Even during dinner an hour later—the city aglow with streetlights and cigarettes—I felt entirely conflicted. As we sat enjoying a delicious Italian feast mere feet from the Duomo—one of the greatest, most recognizable structures on earth—I couldn’t fathom how I’d walked by this every single day, but never really looked at it. I felt completely ungrateful in that moment, and somehow I just couldn’t peel my eyes away—wanting desperately not to make that same mistake again. I had to use this single night to make up for the four months of missed opportunity. Waking through the streets, I wondered aloud if somehow I liked the city more because I knew I was leaving the next day. I didn’t have to stay there for months this time—I was just a visitor passing through. Was that why I was finding it all so romantic? The next day as the train pulled out of the station, I knew I’d had my fill of Florence for a very long time. Somehow in just over 24 hours, I’d managed to do more in the city than I had in four months of living there. I’d retraced my steps. I’d revisited old memories. And I’d made new ones—better ones to replace some of the negativity I’d packed in my suitcase and carried home with me. Florence is a strange place. I’ve read a lot about it since I returned home from my study abroad, and somehow it always seems to be a hotly-contested destination. It has a way of yanking on people’s heartstrings. You either love it or you hate it. But for me—I feel very passionately persuaded in both directions. I hate this city that pushed me out of my comfort zone and held me captive. I love this city for exactly the same reasons. I hate this city for its nonstop activity, pushy vendors, and labyrinth of streets. I love it for its energy, passionate people, and for the way you can get wonderfully lost in back alleyways and stumble upon something beautiful. I hate that this city is the most significant place I’ve ever been. But I love it because it changed me, opening my eyes and my heart to the world. I don’t know when I’ll make it back to Florence, but I know it will forever be a huge part of my life. I owe an enormous debt of gratitude to this city I once called home. It forced me to grow up. It gave me my first taste of the unfamiliar. It persuaded me to see more. Over these last five years, I’ve learned that a bit of time and perspective changes everything. I’m so glad I got to see this city again through new eyes. And I know I’ll be wonderfully conflicted with Florence for a very long time. 2015: Salute, Firenze! Grazie mille. Enjoying a Cinque Terre sunset and writing about my day. It’s a funny thing, looking back on your travels past – especially when you’ve written them all down! 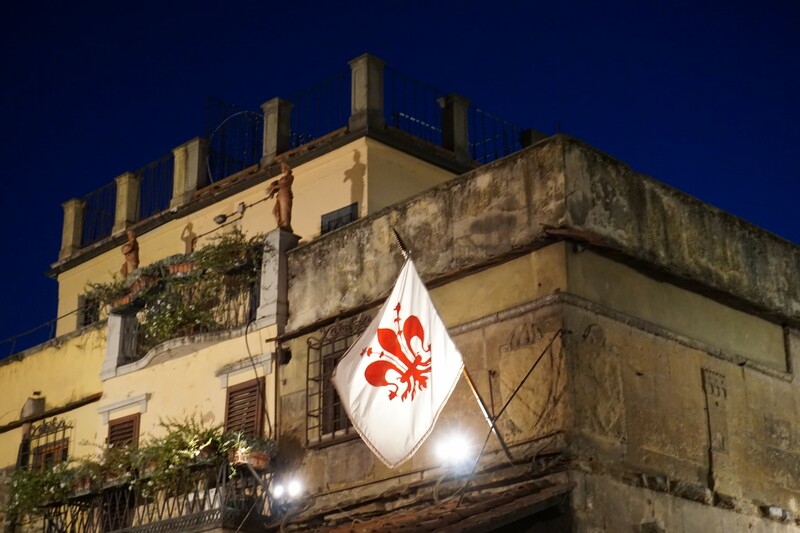 In preparation to officially launch this website, we imported my posts from the WordPress site I had when I studied abroad in Florence, Italy, nearly five years ago. I’ve been working on editing them – fixing the typos and removing any of the information you really wouldn’t care about – like mundane days where I complained about Italian class, and such. You know, those blogs that delighted my parents to no end, since a post proved I was still alive without having to spend obscene amounts of money to call home. I didn’t intend for those posts to be a travel blog, per say. It was more of an online diary to document my thoughts, feelings, and ultimately, my adventures. I had always been hesitant about it. Two of my college roommates decided they wanted to study abroad, and convinced me to go with them. I was in a college program that required a 12-credit internship or a study abroad, so I figured for my very last semester, why not go to Italy and study art history and Italian cooking? Sounded perfect. 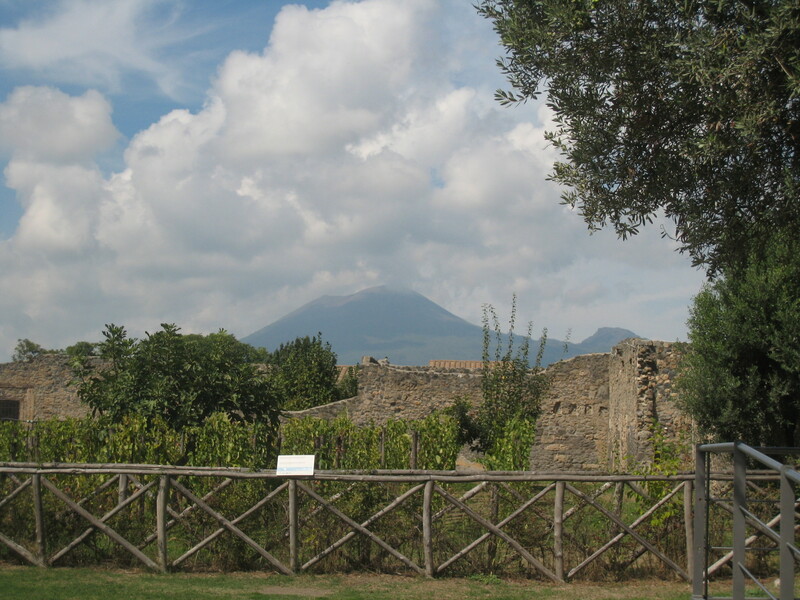 I don’t think I started to process it – really – until my first full week in Italy. The day after I got there, I turned 21, and wrote a post about how I could have never imagined spending my birthday so far from home. 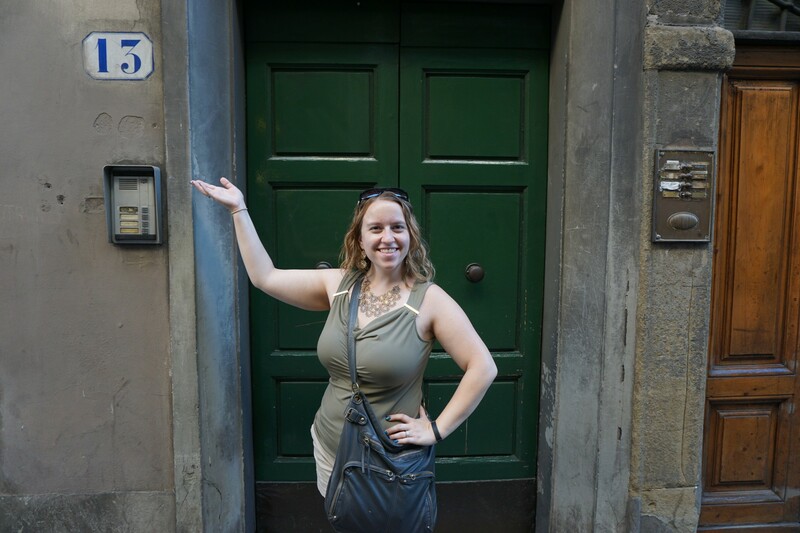 The posts that follow are about going to a charming Italian town called Lucca, and visiting the Cinque Terre, during which time, I had a “freak-out session,” wondering what the heck I was doing there!? It’s so shocking to me now, that I could have been in Vernazza, one of the most stunningly beautiful places on this planet and be missing home. It’s exactly the opposite of what I do now. Here I sit at home, dreaming about Italy. But hindsight is always 20/20, and I’m just glad I started to enjoy my travels through Europe more as the weeks passed. I didn’t realize what a big impact that trip had on my life until I started working in tourism marketing when I got home. I host a lot of travel writers in the Finger Lakes, and more often than not, I get to pick their brains about their chosen careers, and hear their stories about the incredible places they visit. It made me realize how passionate I am about making sure I have the same experiences. 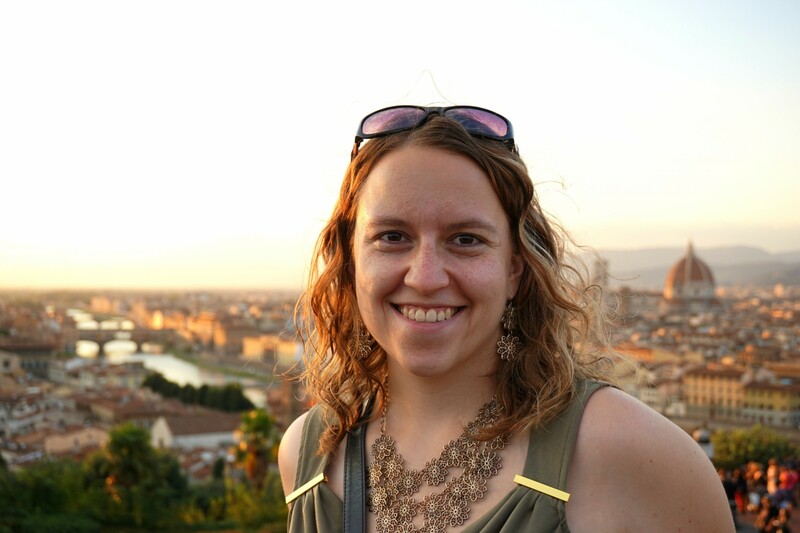 If you choose to read through my study abroad blogs, you’ll learn about my adventures in all kinds of places. I was lucky enough to travel not only throughout Italy, but Scotland, Ireland, Austria, Switzerland, and Croatia. I visited Paris, London, and Barcelona. Kyle and I even got engaged in Venice! I wish I had known at the beginning of my Italy trip that it would be the experience I looked back on as the single best period in my life. Maybe I would have stopped worrying so much, and appreciated each moment more. I can only hope that’s a lesson I need to learn just once, and can go into the round-the-world trip we ultimately plan to take with an open mind and the willingness to live every day to the fullest. And that I’ll always appreciate how blessed I am to be able to see the world.